Here at Wheadon’s we tend to focus our creative activities on the flavour profiles of our gins, but it brings us great pleasure to see how those gins are then used by mixologists, and by chefs, cooks and bakers as an ingredient in their creations. 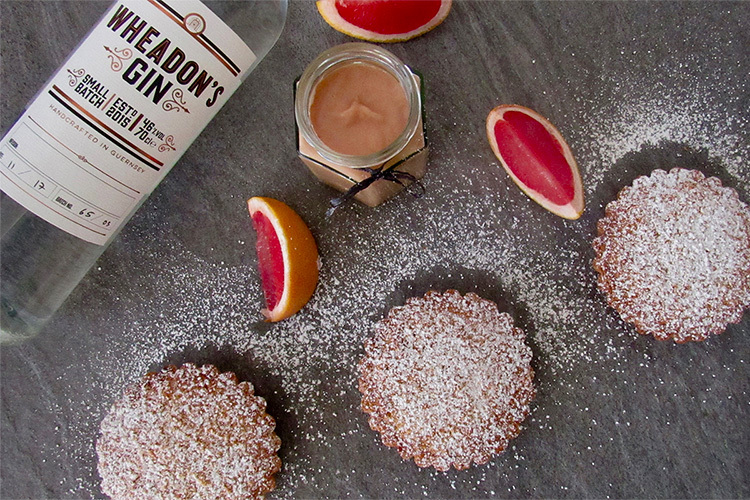 Recently we came across a wonderful recipe for grapefruit, coconut and Wheadon’s Gin tarts by local Guernsey food blogger Alisha Mahy. With the arrival of autumn and the baking frenzy that accompanies the Great British Bake-off, and to brighten up the inevitable grey weather and shorter evenings with some summer flavours, we think now is the perfect time to share it. Alisha is a professionally trained chef who shares her favourite recipes on her blog Nour-ish, and it just so happens that she has a particular fondness for Wheadon’s Gin. 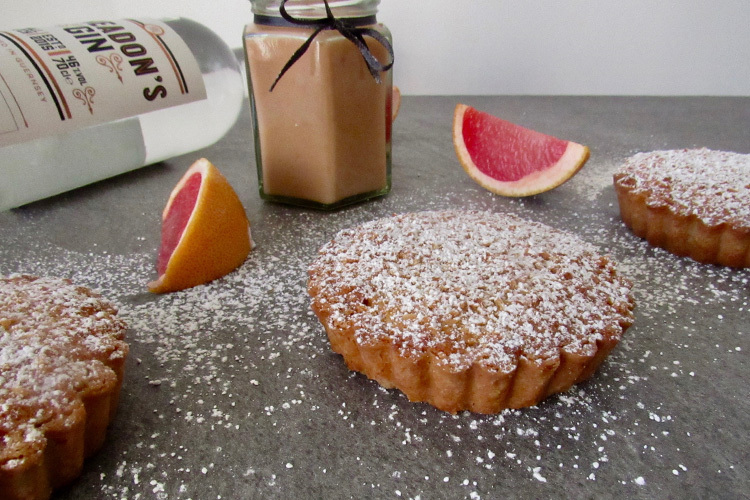 Alisha’s recipe is for a coconut and gin frangipane tart, with our rock samphire and grapefruit gin featuring in both the grapefruit curd and the frangipane mix. 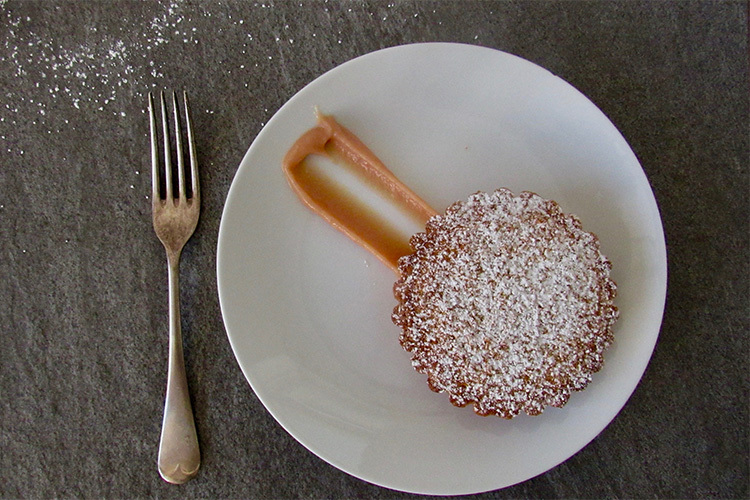 To find the full recipe, we encourage you to visit her blog. We’re going to share here Alisha’s pink grapefruit curd recipe, which makes enough for six tarts with some left over – perfect for dolloping over icecream. Put the zest and juice into a medium heatproof bowl, along with the butter and sugar. Sit the bowl over a pan of gently simmering water, ensuring the water isn’t touching the bottom of the bowl. Stir the mixture every now and again until the butter has melted. Lightly whisk the eggs and yolk and stir into the grapefruit mixture. Whisk until all of the ingredients are well combined, add the raspberries (if using) then leave to cook for 10-15 minutes over a medium heat, stirring every so often, until the mixture is creamy and thick enough to coat the back of a spoon. Add the gin and stir through. Remove from the heat and pass the curd through a sieve. Set aside to cool. Transfer to jars and refrigerate. Find the full recipe for Alisha’s Grapefruit, Coconut and Gin Tarts at www.alishamahy.com/grapefruit-coconut-gin-tarts.